Blackcurrant product contests: next will be in June 2018! Do you think that your blackcurrant products are outstanding compared to those of other companies? Or do you produce original things with blackcurrants? Something you think that nobody has ever tried to make? Something so good that you simply want to share it with everyone? Participate in the blackcurrant contest 2018 then! 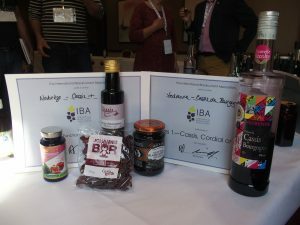 Those of you who have been present at the last IBA conference in Ashford certainly remember the first blackcurrant product contest. 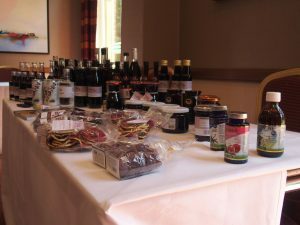 During this event, several companies presented a huge number of well-known blackcurrant products, like jams or juices. 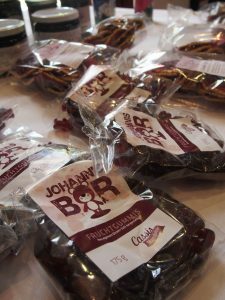 But we have also seen (and you probably tasted) some very interesting innovative products with blackcurrants – like blackcurrant gummy bears. If you haven’t been there, or if you want to recall good memories, check out what had happened! You will also find the brand names of all those who participated in the contest. The blackcurrant contest 2018 is already on the way. The French organizing team for the conference in Angers has put the same kind of contest on its agenda. We are all looking forward to even more products, even more participants, and even more innovation! We do not have any details yet – there is more than a year left to go before the event. Still, the outlining will be similar. Keep your eyes and ears open! We will call for participants in the contest and start preparing nice rewards for the winners very soon. A panel of professionals will judge the products according to taste, packaging and several other criteria, and reward the best product of each category.